This Seoul hotel offers a prime location atop the Spao department store in the heart of the Myeongdong shopping, dining, and entertainment district. A Metro station is a 2-minute walk. N Seoul Tower is about 1 km away. 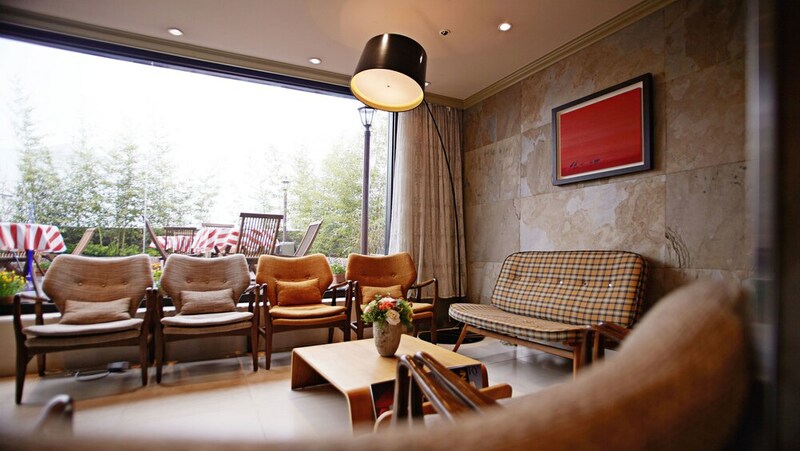 A furnished, fresh-air terrace just off the 11th-floor lobby overlooks bustling Myeongdong. Hotel Skypark Myeongdong I's restaurant serves à la carte breakfast. Free WiFi is available throughout the hotel. Guestrooms offer free WiFi, flat-screen TVs with satellite channels, compact refrigerators, and complimentary bottled mineral water. Water dispensers and PCs with free Internet access are located on each guestroom floor. Fashionitas and friends favor this modern hotel right in the center of downtown Seoul's Myeongdong shopping hub. Major department stores, boutiques, and restaurants are just steps away. Other popular destinations, such as N Seoul Tower, the Dongdaemun Market, and Deoksugung Palace are also within easy reach, either by foot or Metro. Guests check in at the 11th-floor lobby, which opens to a furnished terrace overlooking the lively shopping streets. The restaurant, also on the 11th floor, serves a daily à la carte breakfast (surcharge). Each guestroom floor features a business corner sponsored by the Korean cosmetics company Etude House. Here, guests will find a computer with free high-speed Internet access, as well as water and ice dispensers. Complimentary Wi-Fi is available throughout the hotel. Designated smoking booths are available on the 6th and 7th floor, while the terrace on the 11th floor is also a smoking area. Hotel Skypark Myeongdong I serves a daily à la carte breakfast (surcharge). Numerous restaurants and cafés to suit every taste and budget are within a short walk.